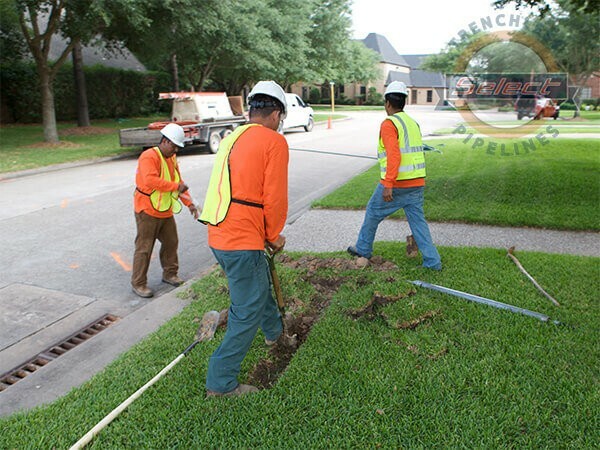 Sewer & Water Pipe Piercing | Select Trenchless Pipelines, Inc. The piercing process is relatively simple and involves a piercing tool sized to match the desired hole diameter and an air compressor. An entry and exit pit is excavated to 10 times the diameter of the piercing tool. 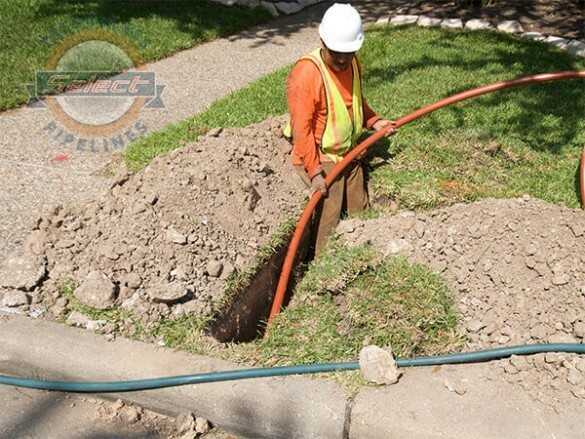 For example, a 3″ (76 mm) tool would require two 30″ (762 mm) deep pits. Once the pits are dug, the crew strings air hoses from the compressor to power the piercing tools. The piercing tool is connected to the air supply and positioned in the entry pits so that it is level to the ground and aligned directionally with the exit pit. The piercing tool is then shot from the entry to the exit pit. 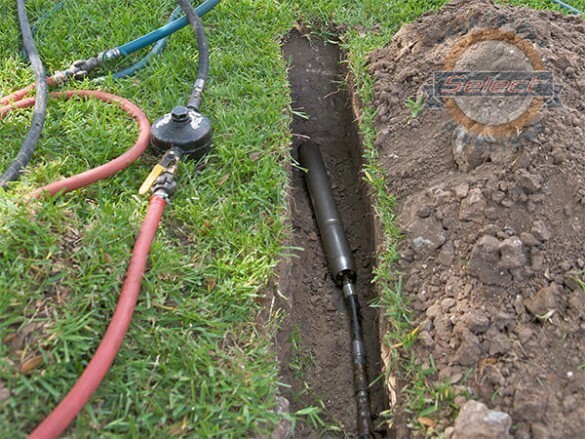 The tool is driven forward by compressed air and bores on a path parallel to the ground. Once the bore is complete, piping conduit, up to the diameter of the piercing tool, can be placed in the hole. Average production is one foot per minute depending on ground conditions. 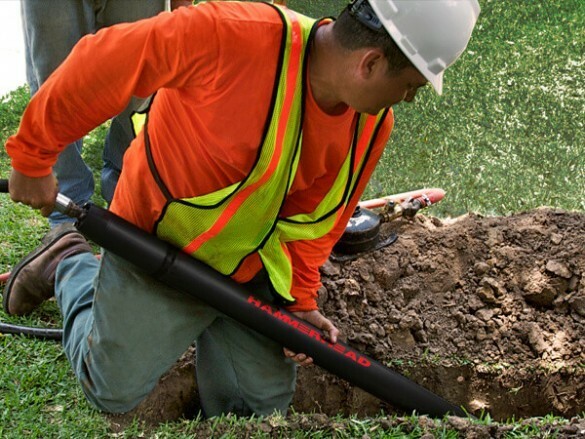 Piercing bores range in size from 1.75″ to 8″ (44 to 203 mm) in diameter and up to 50′ (15 m) in length. Longer bores can be completed using the stitch bore process.